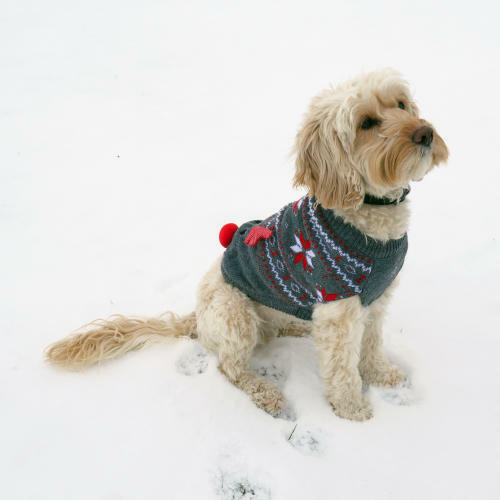 Rosewood Cupid Light up Christmas Dog Jumper will make sure your pooch looks the part this Christmas, and they'll be kept snuggly and warm. When measuring your dog for their new jumper it is important that you measure from the base of the neck to the start of the tail. This is where the head joins the body and where the tail joins the body. Make sure your dog is standing squarely upright on all four legs and is looking straight ahead for an accurate measurement.